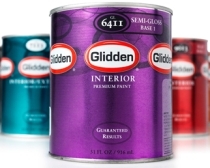 STRONGSVILLE, OH: AkzoNobel Paints has selected Emanate PR as the first AOR for its Glidden Paint brand, following an RFP process. The final round of the review included Emanate, Fleishman-Hillard, and Cleveland-based Landau PR, said Eric Stasiowski, director of communications at AkzoNobel. Seven agencies were involved in the RFP process, which began last November, he said. Although Glidden did not previously have a PR AOR, the brand worked with LC Williams & Associates on communications efforts early last decade, Stasiowski added. He explained that the company chose Emanate because of the firm's experience in the consumer space and its collaborative PR strategy. “They provided a disruptive way of looking at PR as a strategic discipline, which is something I think is going to marry up nicely with the Glidden brand,” Stasiowski added. Emanate will help Glidden increase consumer awareness in the US by generating a news presence on both traditional and non-traditional media platforms, said Stasiowski. He added that the firm will also collaborate with Digital Influence Group, Glidden's social media AOR, on various initiatives and blogger outreach. “You can not talk about PR without referencing and talking about social media in the same breath, so Digital Influence Group and Emanate will work very closely on all in-market activations,” he said. Emanate will also support the brand's strategic initiatives by working with Glidden advertising AOR DDB, media buying agency PHD, and website AOR Hitchcock Fleming & Associates.